Have you ever heard of inbound sales? And even if you have, do you know what it is? Or how to implement it within your business successfully? Or have you already balked at the idea of learning a new style of sales? But did you know this method will allow you to adapt to the new mobile browsing behaviours of potential customers? And that you’ll now be able to rely on marketing data to start the sales conversations? And, guess what? Inbound sales are actually pretty easy to learn and implement. So relax, grab your favorite writing utensil and take some notes. Here’s everything you need to know. In sales, the strategy is often to go out and find new clients using any method possible. All of these methods are really just different ways of reaching out to the public. The hope being that you’ll end up connecting with customers looking for a service or product that you provide. This is a much warmer form of sales. It focuses on the customer’s needs rather than the salesperson’s. Why Should I Consider Using Inbound Sales to Grow My Business? Times are changing, they always will. And if you haven’t noticed that your customers have already started changing their buying habits, then you might be in for some trouble. Even in the past 5 years, there has been a huge change in how customers buy. 81% of consumers now go online before making a purchase. And their expectations are also rising. They have access to a huge number of brands they can access on their device of choice. Consumers are also becoming increasingly savvy and educated about the products and services they are buying. They want your company to recognize that. And if you can’t compete, they will move on to someone who can. What Action Can I Take to Implement Inbound Sales? The first thing before taking any action should be to set up a sales process. Every salesperson within your company should be aware of the process and are following it. No process is worse than a poorly run process. 1. 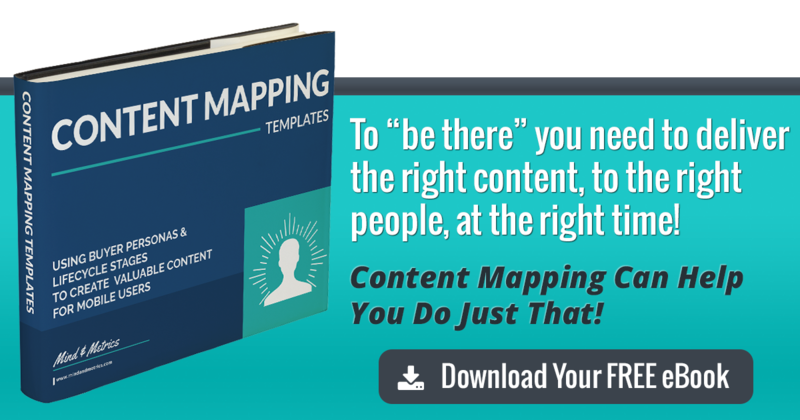 Identify: Find who your customers are and where they are coming from. Taking this step can mean the difference between success and failure. Customers easier to find when you know where to search. 2. Connect: People buy from people. And if most of your customers are buying on the internet, they’re not feeling as connected. So reach out to them. Ask them how you can help them solve their challenge, what their contact preferences are, and what others need they might have that you can help them with. People want to feel they are being heard. 3. Explore: Focus on their challenges. Help them to connect goals to those challenges. Share next steps ideas that help them stay aligned with their timeline and their budget. 4. Advise: Let the customer understand why your company is uniquely qualified to help them solve their problem. Suggest ways you can help them. Recap the entire conversation so that they know they’ve been heard and their needs are being addressed. Discuss next steps both you and they will take. 5. Educate: Provide additional information to the customer on various other products or services you have that can help solve other needs they’ve mentioned. What is the Buyer’s Journey and How Can I Implement Inbound Sales into that Journey? The buyer’s journey starts with awareness. Then they take the next step to start investigating how to solve their issue. The final stage is when they take action. If you want to be successful, it’s smart to learn what their behaviors look like and mean. You need to interpret successfully what these behaviors mean so you can take the appropriate action. Prioritize Active Buyers Over Passive Buyers: They are more likely to make a purchase so they’re considered a warm sales lead. These buyers have already taken some sort of action like visiting your website, filling out a form, or opening up an e-mail sent to them. Research and Contact Your Customers: Speak to these customers! Get to know them. Consider connecting with them on various social media forms to keep in touch. Use Your Technology: You know when people are looking into your company. When you see certain visitors who are actively searching on your site or are actively engaging with you, actively engage back. Personalize Your Connection: The same old elevator pitch won’t work for everyone anymore. Personalize your communication and tailor it to their likes and interests. How Can I Manage These Inbound Sales Relationships? You’re focusing not on what your company or salespeople want, but rather what your customer wants. Offer Guidance: Have you ever tried to make a decision and felt overwhelmed? Did you wish you had someone helping you through that decision making process? Of course. So provide that assistance to your customers. Not everyone will want it, but most will appreciate that you offered it. Help Them Feel Safe: Buying online can be risky. You can’t look anyone in the eye before making a purchase. So make your customers feel safe. Make them feel that choosing your service or product will help them solve a problem and that your company has their back throughout it all. What Can I Expect from Implementing Inbound Sales into My Business? Initial Contact is Now Delayed: Buyers now research solutions, rank options, set requirements, and compare pricing all before they talk to a human. Mobile Searches Predominate: More people are searching online using their mobile phones, tablets, and other mobile devices. Make sure your company is mobile-ready. Focus on Good Content: No one will stay on your site for long if the content isn’t good, engaging, and changing. By focusing on inbound sales, a business can expect to have the sale cycled shortened and sales rates improved. To learn more about sales, marketing, and how to generate great leads, keep coming back or connect with us and we’ll walk you through the process!